The Nigerian Women Association of Georgia is inviting applications for the 2017 NWAG scholarships for female undergraduates in Nigeria. Read on to learn more about these scholarships and how to apply. The NWAG scholarships for female undergraduates in Nigeria have been offered annually since the early 2000s. 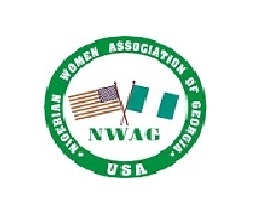 They are the brainchild of an Atlanta, Georgia-based non-profit organisation called the Nigerian Women Association of Georgia (NWAG). The group offers scholarship to a female student from each of the states in the country, including the Federal Capital Territory (FCT), every year. The awards are not restricted to those in universities; female students in other tertiary institutions are also eligible. Successful applicants for the 2017 NWAG scholarships for female undergraduates in Nigeria will get Naira equivalence of $200 each. Please note that these are one-time scholarships. NOTE: All documents must be in either Word or PDF format. The subject of your email should be your name and state of origin, if applying via email. You can get more information on the scholarship page linked to earlier. You have until 31 May, 2017 to submit your application for the 2017 NWAG scholarships for female undergraduates in Nigeria.